We are very proud of our graduates and frequently receive news of your success. We hope that your education at MSU has been foundational to your professional achievement because we strive for excellence in our students and our faculty. We take pride in our mission to be known nationally and internationally for “excellence in educating students and creating and disseminating knowledge through research and outreach, relevant to the accounting and information systems communities.” We do this by ensuring the highest quality in each of our programs and providing our students the skills needed to succeed in a competitive world. The Eli Broad College of Business Department of Accounting and Information Systems continues to change the study of accounting and expand the horizon and opportunities offered to our students. We regularly evaluate our curriculum so that we produce graduates that are relevant in a rapidly changing environment. As alumni, you are important and play a critical role in this process, and we appreciate interaction with you. We sincerely thank you for your support. Please be sure to read our annual print publication and look for our biannual eNews in your email inbox. Please feel free to share with me your thoughts, suggestions and news. Each fall we publish an annual newsletter that provides a snapshot of the hard work and dedication of our department’s faculty, students and alumni and affords us a terrific way to celebrate our many successes. We also send out an eNews twice a year, late in the fall and spring semesters. We invite you to read our newsletters to catch up on department news and the many accomplishments of our faculty, students and alumni. The Department of Accounting and Information System is extremely grateful for the philanthropic support which helps us sustain excellence. The department proudly recognizes the alumni, friends and organizations that support the department. We thank you for your generous support! All contributions honored below were received July 1, 2017–June 30, 2018. Mr. and Mrs. Thomas J. Nobel, Jr.
Show your support for the Department of Accounting and Information Systems by visiting MSU’s secure online gift processing system. We thank you in advance for empowering our students and faculty! The Accounting and Information Systems External Advisory Board is comprised of leaders in the field of accounting. They hold positions in public accounting, industry, government and academia, giving them unique insight into the role our department plays in shaping the accounting profession. We rely on their guidance, advice and feedback, and we are grateful to them and the vital role they play in promoting MSU, our department and our students. Doug Bekker is the office managing partner for BDO’s West Michigan tax practice, leading a group of more than 100 tax professionals. Doug also serves as a partner in BDO’s national tax office. His areas of expertise include restructuring, mergers and acquisitions, consolidated groups, financial instruments and property and casualty insurance companies. Bekker joined BDO in September of 2003. Prior to this, he was a tax consultant with Ernst & Young’s Federal Specialty Services Group, which followed more than six years with Arthur Andersen’s tax group in Grand Rapids. During his career, he has gained significant experience in both tax planning and tax reporting for publicly traded and privately held firms. Mark Blaufuss is currently the managing director of Green & White Advisory, a consulting firm specializing in complex business challenges including mergers & acquisitions, corporate strategy and operational execution. Blaufuss was formerly the chief financial officer of Metaldyne Performance Group (NYSE: MPG), a $3B light vehicle supplier. During his tenure, he was instrumental in forming MPG through the merger of three $1B metal-forming businesses (HHI, Metaldyne and Grede), refinancing the combined entity, executing its initial public offering in December 2014 and ultimately selling the company to American Axle & Manufacturing (NYSE: AXL), returning nearly $1B to MPG’s investors over his tenure. Prior to MPG, Blaufuss worked extensively with private equity owned manufacturing and distribution businesses, including chief financial officer positions at Metaldyne, United Components, Inc. (an aftermarket automotive parts supplier) and Axletech International (a planetary axle supplier), helping to guide all three businesses through growth and successful ownership transition. He also worked as director of AlixPartners, a consulting firm; corporate controller of JPE; and manager at PriceWaterhouseCoopers. He holds a B.S. degree in accounting from Michigan State University. 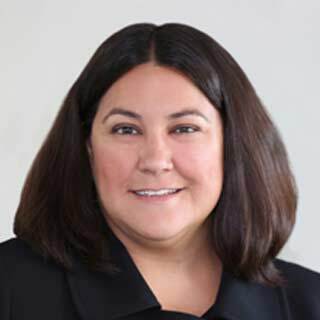 Julie Bogas is an advisory partner with more than 18 years of experience serving consumer and industrial products, automotive and retail clients. She is focused on helping her clients undertake ambitious programs to successfully transform their finance, IT, sustainability, risk and compliance functions. Her experience includes process and controls improvement, program design and implementation, and the program management office. Bogas also serves as a Diversity Partner Champion within advisory and leads the Women’s Inclusion Network for PwC’s Detroit office. She is a CPA and received her B.A. in accounting and M.S. in accounting information systems from Michigan State University. Jason Cardew is currently vice president, finance for Lear’s global seating business, which supports approximately $14 billion in annual sales and more than 90,000 employees. He joined Lear in July 1992 as an accountant in the corporate office. Since then, he has served in finance roles of increasing responsibility, including management roles in several Lear manufacturing facilities as well as both customer and product divisions. He has previously served as interim CFO from September 1, 2011, until March 2012, and prior to that as the company’s vice president of finance responsible for the company’s worldwide financial planning and analysis from April 2010. Cardew also serves on the board of directors for Cornerstone Charter Schools, a nonprofit charter company which operates schools in the City of Detroit. He earned a B.A. in accounting in 1992 and an MBA in 2000, both from Michigan State University. Lisa Carroll is an audit partner in KPMG’s Detroit office with more than 16 years of experience in auditing and advisory services. She has involvement serving a wide range of international clients in the industrial markets and automotive industries. Her experience includes the coordination of multi-national audits. She has assisted numerous clients with acquisition transactions and the related accounting, as well as assisting clients with equity offerings and financing transactions. Carroll provides professional audit services to public and non-public companies in accordance with PCAOB and AICPA requirements, U.S. GAAP and IFRS. Her audit experience includes SEC filings and private company financial statements. She has taken on several leadership roles within KPMG’s Detroit office, including being a performance management leader, mentoring, and participating in Leadership in Action training. Carroll has served as an instructor for KPMG national and local office trainings and has presented at annual MICPA conferences and at KPMG’s Executive Insights conference. She also serves on the finance committee of the United Way for Southeastern Michigan. Allison Dellapelle is a cost accountant with automotive supplier L&W Engineering Company, headquartered in New Boston, MI. Currently, she is responsible for managing the accounting operations at one of L&W’s largest metal stamping and assembly plants, as well as the logistics arm of the company. She works directly with operations management to provide cost analysis of new launch programs and mass production parts and prepares monthly forecast and annual budget data. In addition, Dellapelle develops and implements cost-saving initiatives throughout the plant locations on workplace safety and environmental platforms. Dellapelle graduated from the M.S. in Accounting program at Michigan State University in 2014, where she served as the graduate assistant and honors coordinator for the Principles of Financial Accounting course. 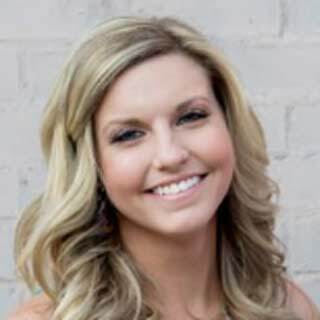 From MSU, she joined the audit practice at Deloitte and worked primarily with automotive and manufacturing clients. She is a CPA and holds memberships in the American Institute of Certified Public Accountants and the Michigan Association of Certified Public Accountants. 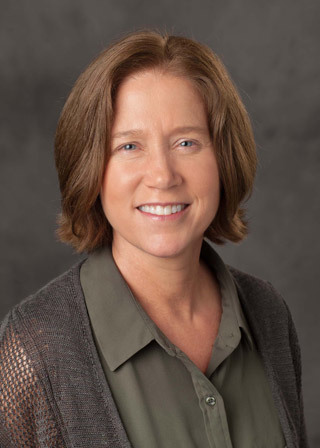 Sara Dolan serves as the chief financial officer at Michigan State University Federal Credit Union (MSUFCU). She joined MSUFCU in 2005. She is extremely active in the Greater Lansing and Michigan State University communities. 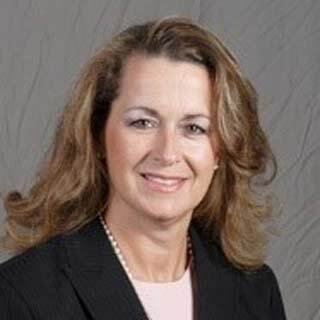 She currently serves on the MSU Alumni Association Board of Directors, the McLaren Greater Lansing Healthcare Foundation Board of Trustees, and the Delta Dental of Michigan Board of Directors, as well as the External Advisory Board for the Eli Broad College of Business Department of Accounting and Information Systems. Additionally, Dolan serves as a member of the Michigan Credit Union League (MCUL) State and Federal Issues Working Group. Her professional memberships include the Michigan Association of Certified Public Accountants (MACPA) and the American Institute of Certified Public Accountants (AICPA). Sara received a B.A. in accounting from Michigan State University and an MBA from Western Michigan University. 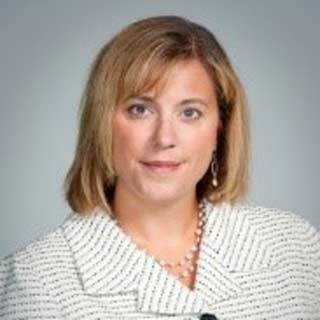 Andrea Dominowski is director of corporate reporting and analysis for the Dow Chemical Company. In this role, she leads a team responsible to provide standard, consistent internal reporting methodologies, deliver financial reporting and analysis to executive management, develop and facilitate the planning and forecasting processes, and provide support for Dow’s external reporting requirements. Prior to her current role, Dominowski was Latin America accounting director and was located in São Paulo, Brazil. In this role, she was responsible for financial and statutory accounting and reporting, invoicing and settlement services and payroll processes for 35 legal entities in 13 different countries within Latin America, where she addressed accounting issues for a wide range of accounting areas such as financial derivatives, financing transactions, M&A transactions, litigation, investments, leasing, revenue recognition, etc. In addition to these two most recent experiences, Dominowski also held roles as site controller for a manufacturing site in California, global project manager for Dow’s first web-based travel expense reporting system and associate accounting director within corporate consolidations. Dominowski joined Dow in 1996 after graduating from Michigan State University with a degree in accounting. Elaine Erving has been in public accounting since 1986. She provides accounting and advisory services to closely held businesses and focuses on developing long-term relationships. Her tenure and industry specialization allow her to contribute on a wide range of business matters beyond compliance. Erving participates in all phases of audits and reviews and has an extensive background in bonding and banking issues as they relate to financial performance. At Moss Adams, Erving currently leads the firm’s Construction, Real Estate, Hospitality and Professional Services Industry Group. 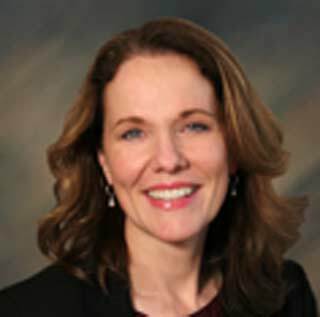 She sits on the firm’s Operations Management Committee, has been a member of the firm’s executive committee and has headed the Seattle Office Assurance Department. Erving has been published in many construction trade magazines and is a frequent presenter to industry associations. She is currently treasurer of the AGC Education Foundation, chair of the CFMA National Education Steering Committee External Education Task Force and a member of ULI. She has a B.A. in business administration from Michigan State University. 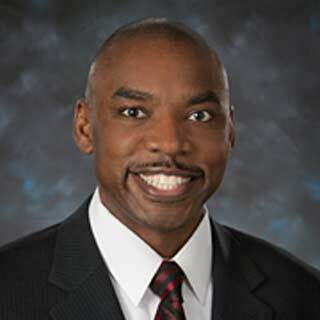 Thomas Graham is a Deloitte audit partner in the New York office and has more than 25 years of experience serving a variety of global clients in the financial services industry in New York; Washington, DC; Tokyo; and Detroit. He has an extensive background working with complex, multinational audit clients with businesses in capital markets, investment banking, securities brokerage, asset management, private equity, securitization and consumer finance. Graham is currently the lead client service partner on Lazard Ltd, the world’s leading independent financial advisory and asset management firm. He previously served as an audit partner for three of Deloitte’s largest audit clients that were significantly affected by the 2008 credit crisis: Bear Stearns, Merrill Lynch and Fannie Mae. He also spent three years on assignment in Tokyo, Japan, where he was the lead partner responsible for all services to clients such as Merrill Lynch Japan, General Motors Japan, Goldman Sachs Japan and Deutsche Securities Japan. Graham graduated from Michigan State University in 1990 with a B.A. in accounting. He is a licensed CPA in New York, New Jersey and Washington, DC. 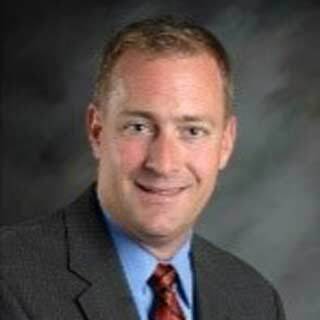 Brad Hehl is the U.S. Central Region Automotive Transaction Advisory Services (TAS) leader and has more than 19 years of experience at EY, with approximately 15 years of experience in the TAS practice. Brad is viewed as one of EY’s automotive industry transaction leaders and works closely with the Global Automotive Center. He has significant transaction experience with automotive suppliers, original equipment manufacturers (OEMs), off/on-highway heavy truck components, aftermarket products and other manufacturing or assembly components. 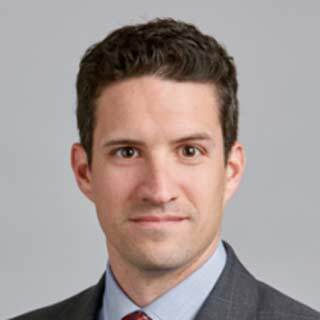 He has led numerous buy-side due diligence engagements, including complex international/cross-border acquisitions, carve-out transactions and automotive technology/software businesses. Hehl has presented at industry events regarding automotive merger and acquisition trends, cross-border transactions and preparing business for divestitures. He has a bachelor’s degree from Michigan State University. He is a CPA and a member of the AICPA, as well as a board member and treasurer for VIP Mentoring. 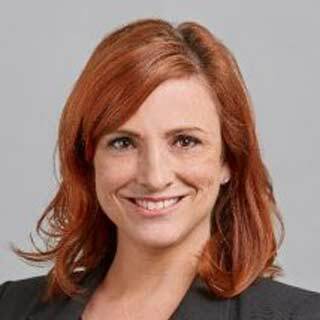 Alicia Janisch is a Deloitte Tax partner with more than 13 years of experience serving clients in the health care industry. 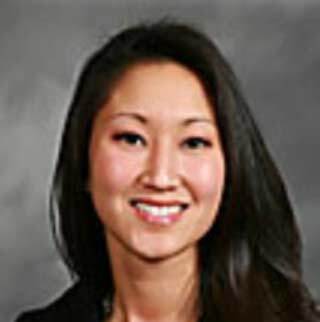 Her main focus is providing advice and expertise to tax-exempt health care provider organizations on many issues including executive compensation, corporate structuring and joint ventures, intermediate sanctions, unrelated business income tax, tax planning, ASC740, and hospital community benefit and charity care. She also has extensive experience with mergers and acquisitions, tax due diligence and large-scale tax compliance engagements for health systems. She leads Deloitte Tax’s talent efforts for the health care provider tax practice nationwide. 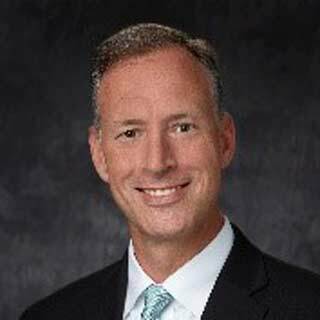 Based in Chicago, Jeff King is a partner in KPMG’s management consulting practice with 20+ years of experience serving industrial manufacturing and automotive clients to improve business performance and to manage operational risk through technology-enabled initiatives. While primarily focused on serving the technology agenda for three Fortune 100 manufacturing clients, King also has national accountability to lead KPMG’s technology practice serving the industrial manufacturing sector. Prior to launching his illustrious career with KPMG, King worked at the front desk in Wonders Hall, in the Eppley Computer Lab and volunteered to lead MSU campus tours along the banks of the Red Cedar. He received his B.A. from Michigan State’s Broad College of Business and his MBA from the University of Chicago’s Booth Graduate School of Business. 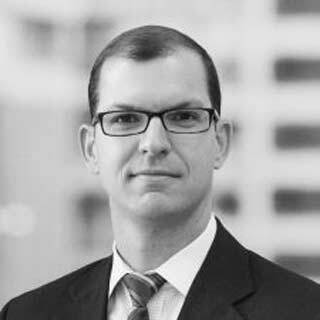 Joe Lenglet is an audit partner with 16 years of experience in the assurance services practice at EY. Over his career, he has served a variety of public and non-public clients, as well as private equity and family-owned businesses, across a variety of industry sectors including real estate, health care, manufacturing, retail and consumer products, professional services, sports media and entertainment. Lenglet has assisted many management teams in evaluating technical accounting matters, the impact of new accounting pronouncements, material transactions, and significant contractual arrangements in a proactive manner. He has extensive experience in leading global audits and coordinating reporting deliverables from international engagement teams throughout South America, Europe and Asia as well as leading inter-office reporting audit engagements to primary teams abroad. Within the Detroit practice, Lenglet leads the audit recruiting efforts as the campus coordinating partner. He is a CPA and a graduate of Michigan State University and the University of Notre Dame. 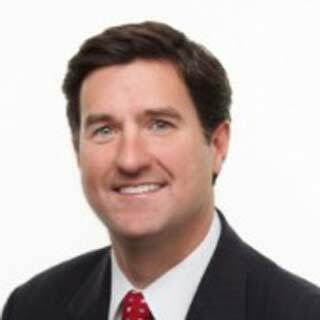 Pat Mahoney is a tax partner with PwC’s national specialty tax services group in Detroit, Michigan, where he leads the Midwest specialty tax services practice. Pat primarily focuses on serving clients across the Midwest related to research tax benefits and fixed asset planning and automation. In this capacity, he represents clients across a broad range of industries, including automotive, aerospace and defense, technology, financial services, retail and industrial products. As PwC leader, Mahoney is passionate about organizational behavior and engendering employee engagement. He worked for an extended period in a PwC think tank, identifying obstacles to and developing solutions for improving employee engagement at PwC. He is a CPA licensed in Michigan and received his B.A. and M.S. in professional accounting from Michigan State University in 2002. Steven Micallef was born and raised in the suburbs of Detroit. As a diehard Spartan, he received both his B.A. and M.S. in accounting from Michigan State University. He even spent some time as an adjunct professor, teaching Managerial Accounting and helping shape young minds at MSU. He began his professional career slaving away in public accounting as an international tax planner at Arthur Andersen and then Ernst & Young, where he served a variety of clients in a number of industries, though he generally focused on automotive clients. When the time was right, he made the jump to corporate life, serving as the in-house international tax planner at Dura Automotive before moving to Lear Corporation, where he honed his operational tax planning and repatriation skills. 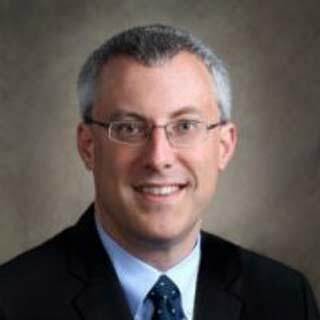 After living through the economic downturn in the auto industry, today Micallef is the head of global tax planning and transfer pricing at Stryker Corporation, where he strives to make healthcare better through tax efficiently operationalizing their supply chain and reducing waste wherever possible. But he has always been and will always be an accountant first. 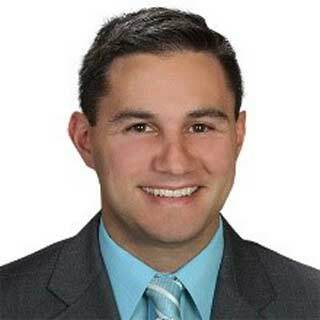 Ryan Muneio is an assurance manager with Plante Moran; he provides audit, tax and business advisory services within the firm’s commercial practice, specializing in the auto, plastics and food industries. Ryan works on several internal committees and continually looks for new ways to leverage his MSU and Plante Moran network. Ryan holds a B.A. and M.S. in accounting from Michigan State University. He joined Plante Moran shortly after completing his degrees in 2011. 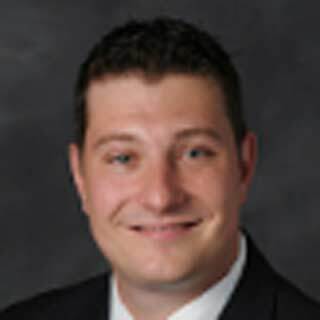 Ryan is actively involved with the firm’s recruiting program and is an active supporter of MSU events. Ryan is a CPA and a member of both the American Institute of Certified Public Accountants (AICPA) and Michigan Association of Certified Public Accountants (MICPA). 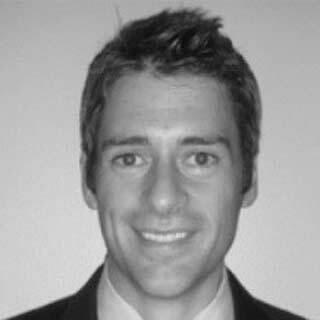 Jason Parsons currently serves as director, investor relations at American Axle & Manufacturing, Inc. (AAM). 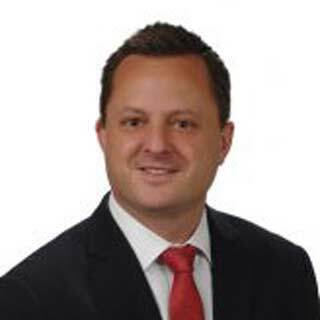 Since he joined the company in 2006, he has served in various financial positions at AAM with increasing responsibility, including assistant treasurer; senior manager, finance – Guanajuato Manufacturing Complex; and senior manager, corporate finance. Prior to joining AAM, Parsons served as a manager in the Detroit office of PricewaterhouseCoopers LLP (PwC). During his six years at PwC, he specialized in providing auditing and accounting services for automotive clients and other publicly held companies. Parsons is a CPA and a member of the American Institute of Certified Public Accountants. He is also a member of the National Investor Relations Institute. He received both his B.A. and M.S. in accounting from Michigan State University in 2000. As a student at Michigan State, Jason worked in various roles within the accounting department, including serving as a teaching assistant for ACC 201 and ACC 411 courses. 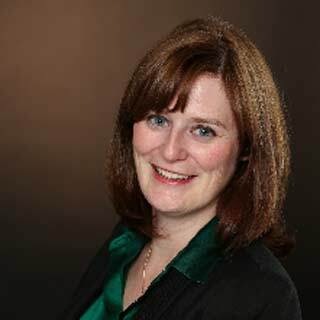 Teresa (Terri) Pollock is an assurance partner with Plante Moran. She specializes in providing public schools and insurance organizations with audit, tax and business advisory services. She currently serves as the office managing partner of the Auburn Hills office and serves on the firm’s policy committee. She is a past industry group leader for the firm’s public education practice. Pollock is a 1985 accounting graduate from Michigan State University, who joined Plante Moran directly from MSU. She is actively involved with Plante Moran’s MSU recruiting team and enjoys providing support and guidance to MSU business students as they launch their professional careers. 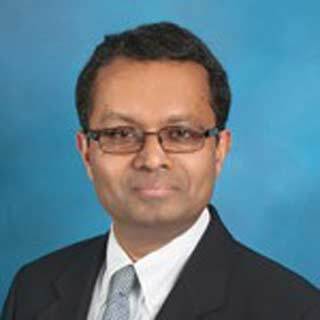 Ramesh is accounting area coordinator and Herbert S. Autrey Professor of Accounting at the Jones Graduate School of Business at Rice University. Ramesh obtained his Ph.D. from Michigan State University and has previously served on the faculties of the business schools at Northwestern University, the University of Rochester, The Pennsylvania State University, and Michigan State University. During his tenure at two leading economic consulting firms, he worked with prominent law firms, Big Four audit firms, major corporations and governmental agencies. Ramesh is past president of the Financial Accounting and Reporting Section of the American Accounting Association and a past academic fellow at the U.S. Securities and Exchange Commission. His recent academic research examines the information content of financial reports mandated by securities regulators, the role of newswires and data aggregators in disseminating corporate accounting information to different investors, and the information content of analyst recommendations. Ramesh has won many accolades for his teaching excellence, including being mentioned in the BusinessWeek Guide to Best Business Schools as an outstanding faculty member at the University of Rochester and receiving the Faculty Excellence in Teaching Award at MSU. 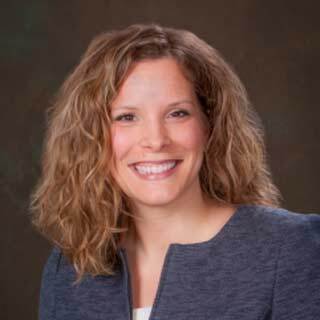 Kristen Rzeszutek-Rohloff is a manager in the global technical accounting group at General Motors focused on technical accounting research for complex contracts, implementation of new accounting standards and drafting of FASB comment letters on occasion. Recently, she has spent most of her time on the new revenue recognition and leasing standard global implementation projects, and is actively involved in the Financial Executives International Committee on Corporate Reporting, representing GM at the Lease Working Group sessions. In addition, Rzeszutek-Rohloff also supports GM’s campus and experienced hire recruiting efforts. Prior to her role in global technical accounting, she was a senior analyst in treasury accounting responsible for GM’s global debt portfolio, review of significant transactions and treasury management system implementation. Before joining General Motors, Rzeszutek-Rohloff was a PwC senior assurance associate in the Detroit office servicing primarily public clients in the utilities, professional services and automotive industries. Kristen holds both a B.A. and M.S. in accounting from MSU and is a licensed CPA. 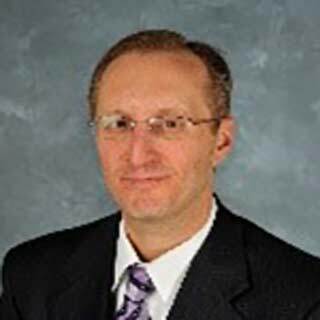 Rick Strohmaier is a partner and Midwest region state and local tax (SALT) leader based in Chicago. 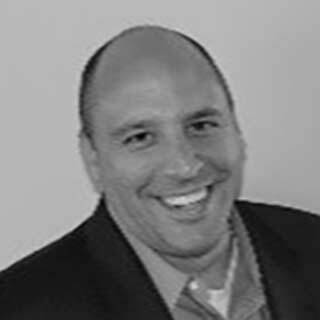 He has more than 15 years of experience working with public and private companies in retail, professional services, technology, pharmacy benefit management, manufacturing and distribution. Strohmaier specializes in state income and franchise taxes. He is a frequent speaker at tax conferences. Rick earned his bachelor’s degree at Michigan State University and a master’s degree at Northern Illinois University. He is a CPA in Illinois and a member of the AICPA; he serves on the Illinois CPA Society SALT Content Advisory Group and SALT Committee, the Taxpayers’ Federation of Illinois Income/Franchise Tax and Fall Conference Committees and the Chicago Tax Club SALT Committee. In 2006, Korey Thomas joined Whirlpool, the world’s largest home appliance manufacturer. He is the director of global policies and procedures and is responsible for technical accounting research, accounting guidance and accounting training. At Whirlpool, he has held accounting and finance roles of increasing responsibility in various functions including external reporting and benefits accounting, marketing and product strategy finance, integrated business units finance, supply chain finance and internal audit. Prior to joining Whirlpool, Thomas began his career at Plante & Moran and later worked in internal audit and financial planning & analysis at Steelcase. He graduated from Michigan State University with a bachelor’s degree in accounting. Thomas also has an MBA from University of Michigan and holds CPA and CIA designations.